José Potosme-Tourism - BECA. The BECA.org Foundation. Empowering Youth Education in Nicaragua. 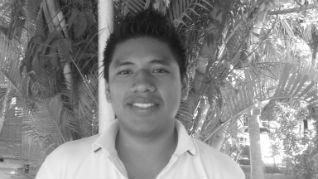 "Hi my name is Jose Abdel Potosme Bracamonte; I studied hotel and tourism management at MASINFA. It is a pleasure for me to share with you a little bit about my experience as a member of BECA.org now called HEDU.org. I am so grateful with God and HEDU.org for giving me the opportunity to study a technical career. On 2014 after I finished high school I did not know what I wanted to study. I knew about BECA.org through my sister, I went with my mom in order to apply for the scholarship. Thanks’ God I was selected for Course One. My experience on the computer course was really nice, I met new people many of them are still my friends. The next step was the best on which I had to support a teacher from elementary school, throughout the three months it last I learned too many things like responsibility, punctuality and how to face obstacles in life. At the end we all had the opportunity to get the scholarship and study a technical career but the dilemma came back to me, I did not know what I wanted to study. However a graduated from the foundation told me that I could study tourism, it sound right for me. On 2015 classes started, something important that happen on May 2016 was the last work it was a project on which we had to promote a restaurant, thanks’ God everything finished successfully. On 2017 I got a phone call from HEDU.org, Maryury was on the phone she wanted to tell me ‘’if I wanted to work with them as a coordinator’’. It was another step in my life on which I develop my abilities as a professional working with Maryury, Lilliam and Ana. By the end of 2017 I was getting out of HEDU.org but through the time that I was studying my technical career and also the time that I worked at the foundation, I realized something I wanted to become a musician for the rest of my life. Next step was study and it was about to start. There were too many places on which I could study but I really needed to perform my abilities in that way I could teach other, unfortunately in our country music is not a professional career. I am in the first year of University and I have learned too many things obviously this is just the beginning. I am so glad with my parents and HEDU.org because they are the main protagonist in my life. There is no way for me to thank all the support that I have received but I consider that the best way will be achieving all my goals. This is the way how I lived part of my life at HEDU.org, there is no doubt that it was an amazing experience. God bless you!